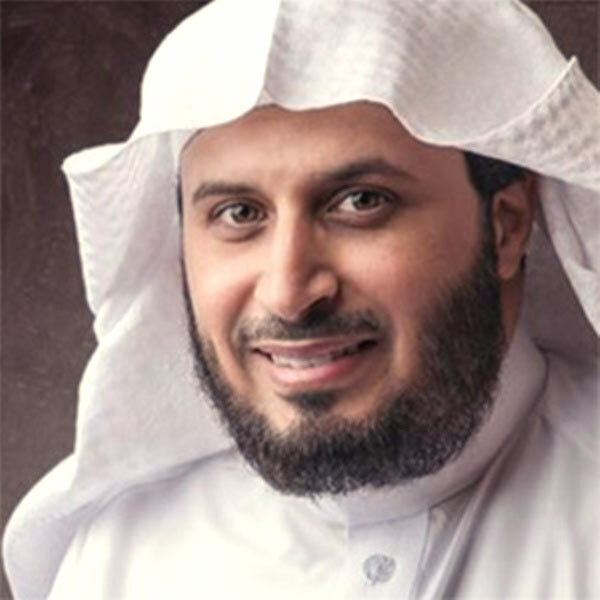 Saad Al-Ghamidi is a Saudi reciter who was born in 1968. Saad studied in Dammam. As a student, he was very clever. He often participated in summer journeys, Quran Memorization circles and associations. He graduated from the University of Shari`ah with a religious studies Degree (Usul Ad-Din). In 1990, he memorized the whole Qur’an and was distinguished by his soulful voice. In 1985, he chose a Monshid (religious singer) career. His first tracks were very successful and earned him a wide recognition. Al-Ghamidi cut his way to recognition as an Imam during Tarawih’s prayers in the Grand Mosque. He later released a first record which met a considerable success. He had a degree in Al-Isnad on the recitation of Hafs by `Asem. He has toured many Arab countries such as Kuwait, Austria, USA and GB.